This executive report takes you step-by-step through the process of developing integrated delivery systems. 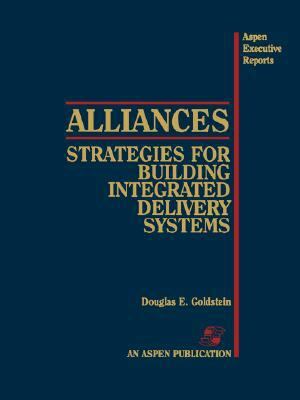 You'll learn eleven fundamental building blocks for integration and how to apply these methods to redesign and improve your existing processes and systems.Goldstein, Douglas E. is the author of 'Alliances Strategies for Building Integrated Delivery Systems' with ISBN 9780834206021 and ISBN 0834206021. Loading marketplace prices 94 copies from $62.80 How does the rental process work?